If your interest in managment or your career path are not in specific business functions, then probably the Genaral MBA is for you. 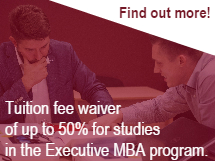 In this MBA you can choose elective courses from the widest possible range of interests. The program consists of 15 courses - 9 core and 6 electives,plus Master Thesis.